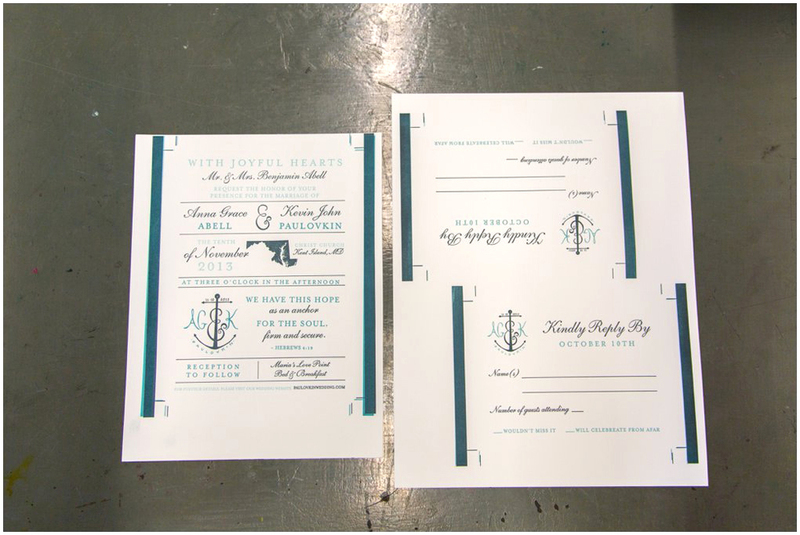 One thing I dreamed about before I got engaged was that I would letterpress my own invitations. I didn't think I would be able to pull it off in our 4 month engagement but I did! 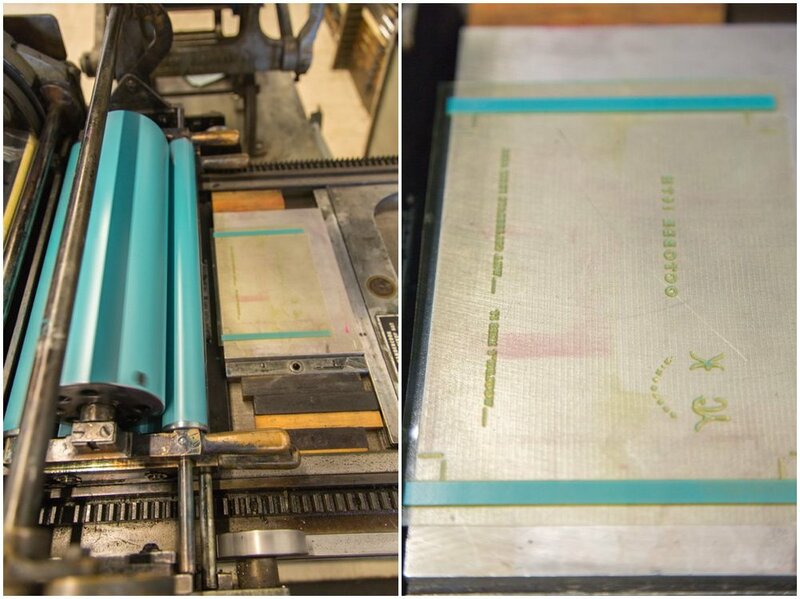 I wanted to post some photos of the process so you can learn a little more about letterpress. It is a sweet art form! 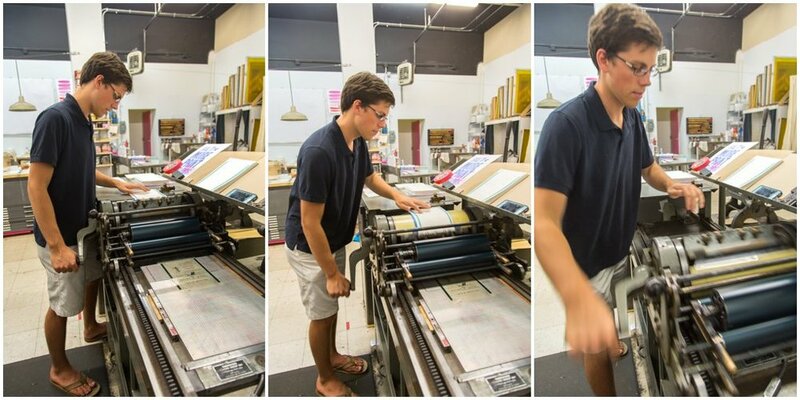 I took a couple of classes at Baltimore Print Studios and then they let you rent their presses for your own projects. It is so great! First I designed this in Illustrator. 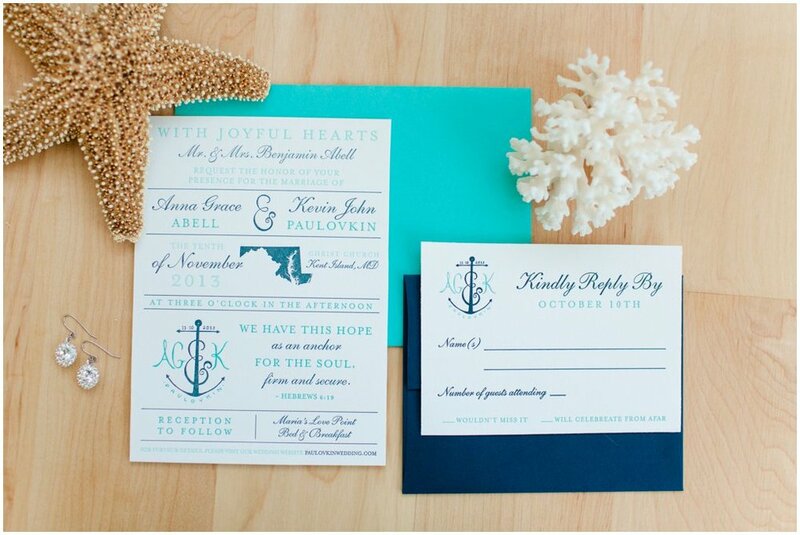 Here is a shot that the amazing Katelyn James took of our invitation suite at our wedding! We were thrilled with how they turned out! We also letterpressed our programs and I took a few shots of them. 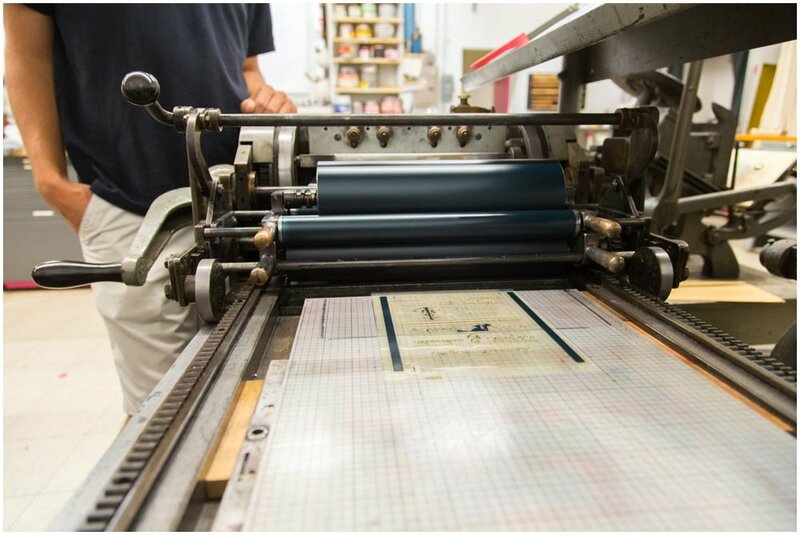 Then in Illustrator you separate out all the colors to be printed on the plates that get letterpressed. After you separate the colors you make everything 100% black. Then you send the file to boxcarpress.com and they send you back the plates to print with. These are the plates. They are plastic and have the parts of the design that get letterpressed coming off the page so they will make an indent into the paper. Then you cut the paper down to the size you want. I made the mistake of not ordering 8 1/2 x 11 paper so we had to cut it down. But it turned out fine! While Kevin was cutting paper, I was finding the colors in the Pantone book from my original design and mixing paint. This part is fun because mixing the paint brings to life your own design! Putting ink on the rollers of the press. You print each color separately since the rollers can only have one color on them at a time. Letting each invitation dry before we put on the next color! This is a shot of the other end of the plate on the press. The plate goes on facedown so the paper prints it right side up when you roll the paper through the press. The lines on the side are so that we know the press has enough ink. If the print comes out with spotted lines we know we need more ink on the press. We love you Baltimore Print Studios!! 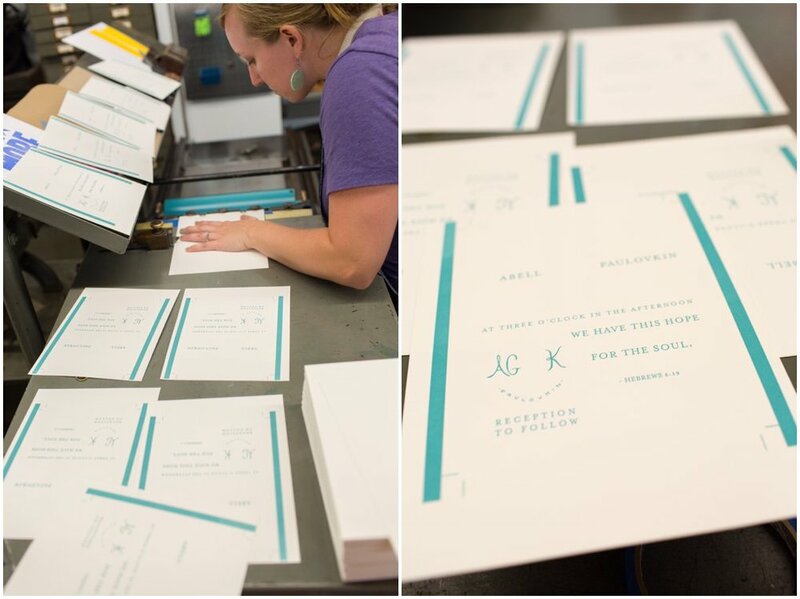 We can't wait to get back on the presses and letterpress more of my designs. It is a really fun process. Happy Teal Tuesday! !